Preparing for Advent: Capture Your Child’s Heart for Christ this Christmas! Christmas is one of the most anticipated times of the year by most families. Capture your child’s heart with the true meaning of the season by intentionally sharing Jesus with them! Advent is the perfect opportunity to open up God’s Word as a family and explore the Christmas story. For the last several years, my family has taken the entire month of December to countdown to Christmas. Family time is a priority during the holidays, and my husband and I have been purposeful to invest in our children by imprinting God’s love on their hearts. I want to encourage you to take the lead in your home this Christmas to teach why Jesus came to those God has entrusted to you! Counting down to Christmas and celebrating Advent takes commitment, and it is worth it! My children have been eagerly awaiting our Christmas Countdown for a few months, not because of the gifts they will receive but the time we will spend together with Jesus. Many options are available to families to help them in the Advent and Christmas celebration. Most can be easily adapted to engage very young children, as well as elementary and teen ages. What’s most important is regularly being together and opening up the Bible. Depending on your schedule, you could spend five to 10 minutes a day sitting down together and reading an Advent Scripture passage, or you could choose to enjoy more time participating in family activities and crafts. Preparation could be elaborate, or as simple as printing out a few papers and opening up the Bible. Carving out and prioritizing the time is the key. Decide what would work best with your family, and go for it! Our Journey to the Manger, ready to begin on Sunday, Nov. 30! What it is: Journey to the Manger is a FREE 2014 Advent activity calendar produced by Thriving Family magazine, a ministry of Focus on the Family. How it works: Each day includes a short family devotion (with ways to engage both younger and older children), along with optional activities and a printable puzzle page. Prep time: This resource can be downloaded here. Print out the poster, sticky tack it to the wall, cut out the daily characters and you are ready to go. Each day, refer to the devotion, and print out the puzzle page if desired. In other words: Journey to the Manger is little prep time for a powerful impact! Why it’s great: This is the Christmas Countdown my family will be using this year! 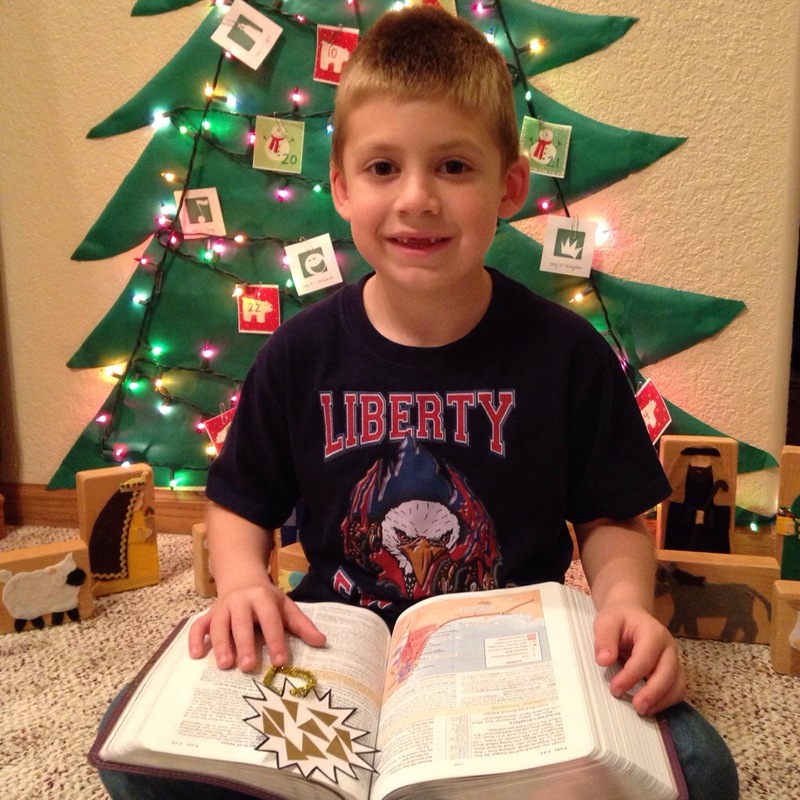 I love this free resource because it focuses on one character in the Christmas story each day. My preschool daughter is already playing with all the print outs of the people. It also has puzzle activities that will be a hit for my second grade son (and I know upper elementary students will enjoy it too…some are quite challenging). But what I love most about Thriving Family’s resource is that it begins and ends with God. The first day focuses on God the Father and His plan to draw us to Him. The last day ends with God’s plan being fulfilled as Jesus is born, celebrating Christmas with John 3:16. Why to choose this option: It is simple, with very little prep time. It will engage younger and older children. You can spend as little or as long as you desire to complete each day. It is a well-done, thoughtful, engaging devotion (with activities) your entire family will enjoy! What it is: Truth in the Tinsel is a Advent experience where your child will make an ornament each day focusing on a different aspect of the Christmas story. How it works: Truth in the Tinsel is an e-book that gives you step-by-step instruction on how to make the ornament, and an accompanying simple devotion with Scripture. Purchase the e-book here. View our experiences here. Prep time: Truth in the Tinsel takes planning. While many of the crafts use supplies you will likely have on hand, I had to plan out each week so that when we came to our craft time I wouldn’t be scrambling. Plan on at least 30 minutes of planning time a week, plus prep time to gather supplies each day. Why it’s great: This is an absolutely fantastic resource! We did Truth in the Tinsel for Christmas last year. My kids loved the crafts each day. Some are simple and some take a little more time. This Christmas countdown is especially engaging for preschool to mid-elementary. The creator, Amanda White, is an experienced children’s pastor and lives and breathes Christmas. Her approach to reach your child’s heart works. 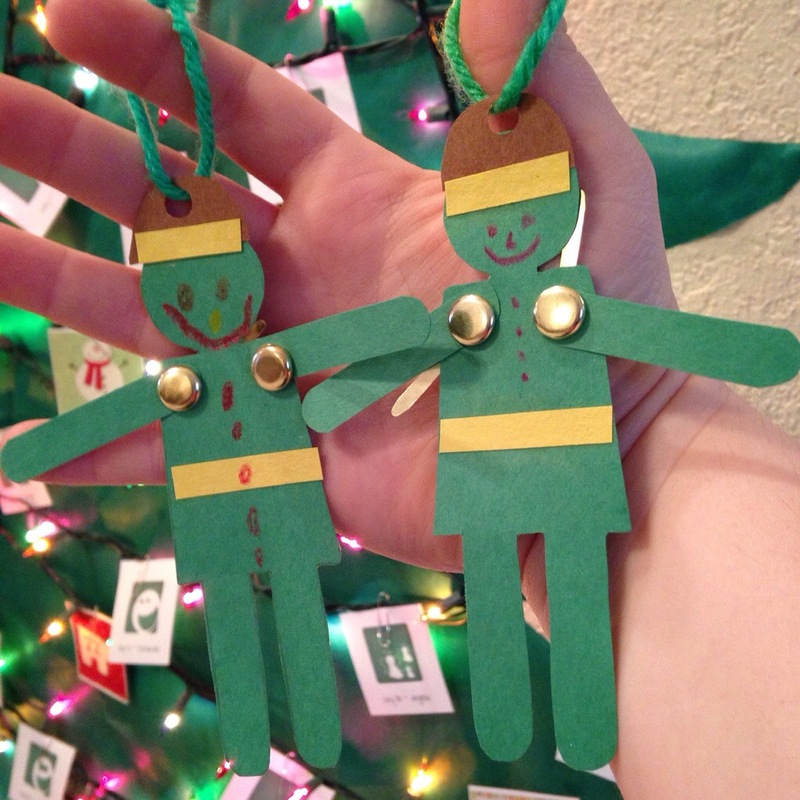 My children will be decorating their small Christmas trees in their rooms with the ornaments they made last year. As a bonus, if all the prep is just too much for you, Truth in the Tinsel also offers printable ornaments your child can color with each day’s theme. Why to choose this option: The memories you will make will last well beyond the month of December when you participate in Truth in the Tinsel. It is written with younger children in mind. It focuses from start to finish on why Jesus came: the cross. Be prepared for the planning it will take to pull it off! What it is: Choose a fun activity for your family each day as you countdown to Christmas. How it works: This is a conglomeration of crafts, activities and get-out-of-the-house adventures to enjoy as a family leading up to Christmas. When my family utilized this approach, we paired it with the Advent Bible study below. Each day, we read the Scripture, then participated in an activity. Find a list of potential activities here. You can also peruse Pinterest for more ideas, or make up your own! Prep time: Each week, I planned activities that worked with our schedule each day. If we were doing a craft, that would take more preparation. Plan on 30 minutes of planning each week, then the daily time varies. Why it’s great: This approach focuses on fun! Each day we did something new, which causes us to look forward to our adventure each day. For the most part these weren’t “spiritual” activities, which is why we started our time in God’s Word in the study below. This method requires an intentional block of time to spend together, experiencing the joy of Christmas! Why to choose this option: It’s flexible and fun! Do as many activities as you wish. Sometimes what a family needs most is simply doing things together and enjoying each other – and this option is perfect for being together as a family! What it is: This is a collection of Advent Scriptures to read as a family leading up to Christmas. How it works: Start with Day 1, and work your way through the Bible to experience the truth of Christmas. Find the Bible plan here. Prep time: None. Get out your Bible and start reading. If you want to take it up a notch, we cut out a big Christmas tree to hang on our wall, and had paper ornaments numbered 1-25 with the Scripture references on the back. Each day, the kids would find the numbered ornament we were on to find out our Advent verses we would be focusing on. Why it’s great: It’s so simple, with the priority on God’s Word. Discussion can flow from the passage, and different family members can read each day. Why to choose this option: This option is for any family with whatever mix of ages. It can even be used as a personal reading plan during December. 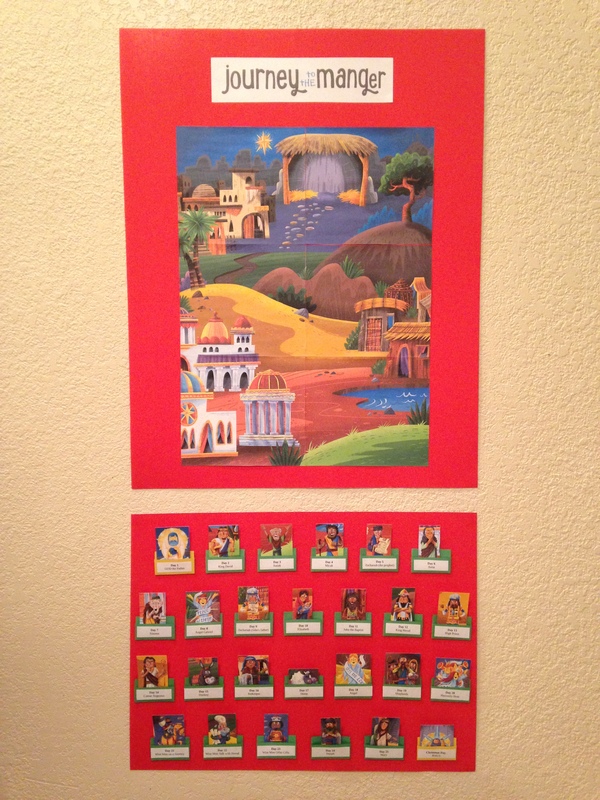 This Advent Bible reading has no prep time, and can be used in conjunction with other activities. However you celebrate Advent, enjoy your family and your Savior this Christmas! Papa helps Lauren make her cross ornament. Christmas Countdown Day 24 focused on the cross. As our family looked over the Advent tree and all we learned this month about Immanuel, God with us, we understood that the manger wasn’t the end of the story. 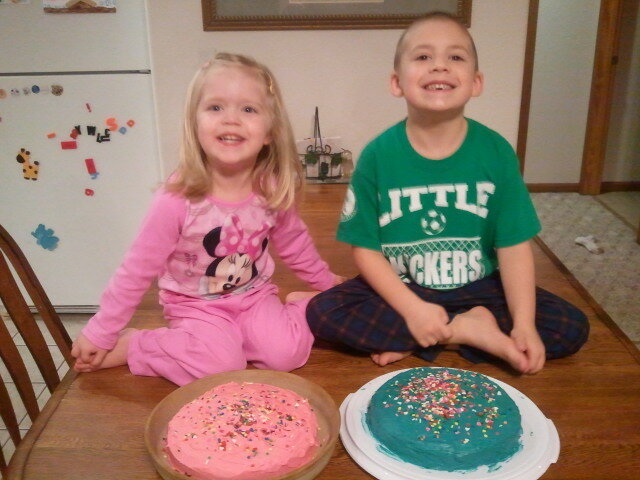 Jesus grows up, just like Jackson and Lauren are growing up. Jesus becomes a man, and He dies on the cross to save us. Our Scripture tonight was Philippians 2:6-8. Jesus came to earth to be born in a manger, so He could die on a tree. He came so that you and I could truly live. Christmas is really all about the cross. We made cross ornaments tonight to remember that Jesus came for each of us.